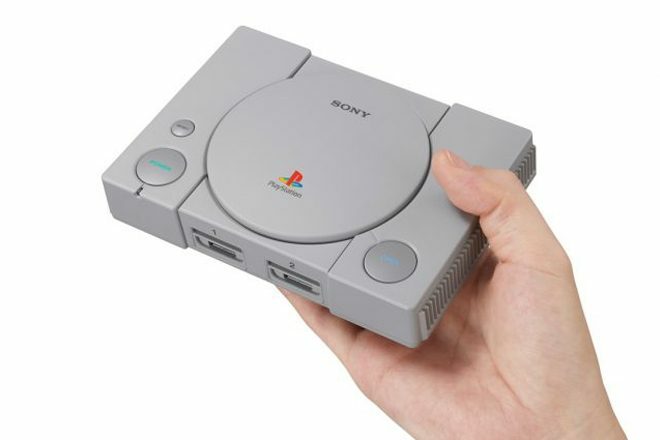 Sony has announced the PlayStation Classic, a remake of the original console from 1994. The Classic is about half the size of the first machine, and has been updated with an HDMI out and ‘virtual memory cards’, but it will ship with the original style controllers. PlayStation has confirmed the remake will ship with 20 classic games pre-installed. So far the titles announced are Final Fantasy VII, Tekken 3, Jumping Flash, R4: Ridge Racer Type 4, and Wild Arms - all in their original PlayStation format. Nintendo saw success with remakes of its classic NES and SNES consoles in 2016, and is likely a factor in Sony’s decision to recreate its own console. The bundle will cost £89.99 and launches on December 3, the 24th anniversary of the original. We compiled our favourite PS1 soundtracks last year and you can check them here. Head here to find out more and register for updates.